But the session went well beyond the Internet of Things and became a much more wide-ranging discussion about how America can maintain its global leadership for the next-generation of Internet-enabled, data-driven innovation. On both sides of the aisle at last week’s hearing, one Senator after another made impassioned remarks about the enormous innovation opportunities that were out there. While doing so, they highlighted not just the opportunities emanating out of the IoT and wearable device space, but also many other areas, such as connected cars, commercial drones, and next-generation spectrum. Sen. Booker has it exactly right. And for more details about the enormous innovation opportunities associated with the Internet of Things, see Section 2 of my new law review article, “The Internet of Things and Wearable Technology Addressing Privacy and Security Concerns without Derailing Innovation,” which provides concrete evidence. And so, from copyright issues, security issues, privacy issues… all of these things are worthy of us wrestling and grappling with, but to me we cannot stop human innovation and we can’t give advantages in human innovation to other nations that we don’t have. America should continue to lead. Meanwhile, as I documented in my longer essay, “Why Permissionless Innovation Matters: Why does economic growth occur in some societies & not in others?” our international rivals languished on this front because they strapped their tech sectors with layers of regulatory red tape that thwarted digital innovation. He cited, for example, the rise of air travel and the onset of humans taking flight. Sen. Booker correctly noted that while that must have been quite jarring at first, we quickly came to realize the benefits of that new innovation. 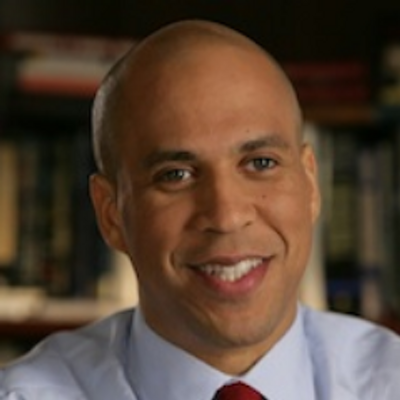 The same will be true for new technologies such as the Internet of Things, connected cars, and private drones, Booker argued. In each case, some early fears about these technologies could lead to overly-precautionary approach to policy. “But for us to do anything to inhibit that leap in humanity to me seems unfortunate,” he said. Once again, the Senator has it exactly right. As I noted in my law review article on “Technopanics, Threat Inflation, and the Danger of an Information Technology Precautionary Principle,” as well as my recent essay, “Muddling Through: How We Learn to Cope with Technological Change,” humans have exhibited the uncanny ability to adapt to changes in their environment, bounce back from adversity, and learn to be resilient over time. A great deal of wisdom is born of experience, including experiences that involve risk and the possibility of occasional mistakes and failures while both developing new technologies and learning how to live with them. More often than not, citizens have found ways to adapt to technological change by employing a variety of coping mechanisms, new norms, or other creative fixes. Booker gets that and understands why we need to be patient to allow that process to unfold once again so that we can enjoy the abundance of riches that will accompany a more innovative economy. Sen. Booker also highlighted how some existing government legal and regulatory barriers could hold back progress. On the wireless spectrum front he noted that “the government hoards too much spectrum and there is a need for more spectrum out there. Everything we are talking about,” he argued, “is going to necessitate more spectrum.” Again, 100% correct. Although some spectrum reform proposals (licensed vs. unlicensed, for example) will still prove contentious, we can at least all agree that we have to work together to find ways to open up more spectrum since the coming Internet of Things universe of technologies is going to demand lots of it. That’s already happening with drone innovation, as I documented in that piece. Evidence suggests that the FAA’s heavy-handed and overly-precautionary approach to drones has encouraged some innovators to flock overseas in search of more hospitable regulatory environment. Bottom line: if our government doesn’t take a more flexible, light-touch approach to these and other cutting-edge technologies, than some of our most creative minds and companies are going to bolt. I dealt with all of these innovation policy issues in far more detail in my latest little book Permissionless Innovation: The Continuing Case for Comprehensive Technological Freedom, which I condensed further still into this essay on, “Embracing a Culture of Permissionless Innovation.” But Sen. Booker has offered us an even more concise explanation of just what’s at stake in the battle for innovation leadership in the modern economy. His remarks point the way forward and illustrate, as I have noted before, that innovation policy can and should be a nonpartisan issue. testimony: “My Testimony for Senate Internet of Things Hearing,” February 11, 2015.
essay: “A Nonpartisan Policy Vision for the Internet of Things,” December 11, 2014.
law review article: “The Internet of Things and Wearable Technology Addressing Privacy and Security Concerns without Derailing Innovation,” November 2014.
essay: “Don’t Hit the (Techno-)Panic Button on Connected Car Hacking & IoT Security,” February 10, 2015.
essay: “Striking a Sensible Balance on the Internet of Things and Privacy,” January 16, 2015.
essay: “Some Initial Thoughts on the FTC Internet of Things Report,” January 28, 2015.
slide presentation: “Policy Issues Surrounding the Internet of Things & Wearable Technology,” September 12, 2014.
essay: “CES 2014 Report: The Internet of Things Arrives, but Will Washington Welcome It?” January 8, 2014.